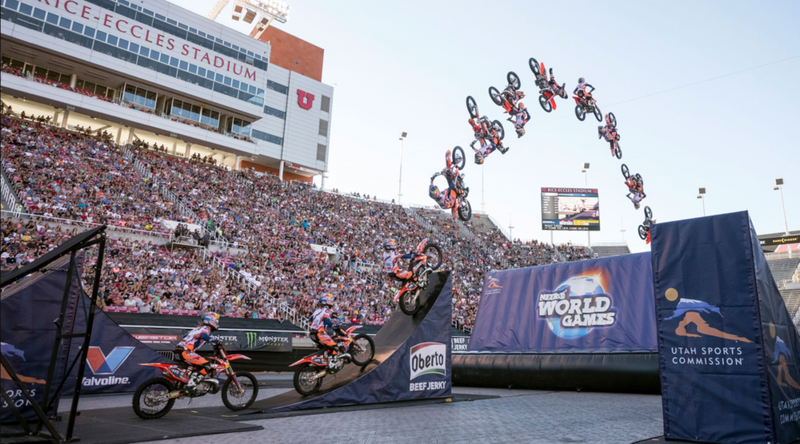 Nitro World Games was broadcasted live on NBC in 2016 and 2017. Jodie was brought on as associate producer both years and in 2017 she added live truck producer to her responsibilities. 4 hours of live broadcast coverage was produced with over 2 million views. The sports covered included: FMX Freestyle, FMX Best Trick, BMX Best Trick, BMX Triple Hit, and Skateboarding. Both years, Jodie was involved in the months leading up to the Nitro World Games working closely with the production company and the Nitro Circus Media group overseeing everything from pre produced features, graphics, billboards, sponsor obligations, set design, on air talent hiring, on-air talent preparation, and fine tuning show format with the executive producer and client. During the live broadcast, Jodie's responsibility as truck producer was working with on air talent, keeping the AD on track with timing and show format, managing billboard playlists, and making sure all sponsor obligations were met.